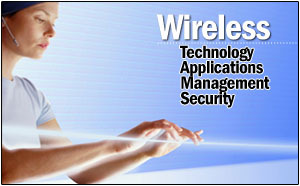 Exchange information on advances in mobile communications and wireless networking technology, management, applications, and security in a very pleasant Southern California conference environment with leaders and experts from industry, governmental agencies, and universities around the world at the Seventh Annual Wireless Telecommunications Symposium. An IEEE Communications Society Co-Sponsored Welcoming Dinner with guest speaker Dr. Leonard Kleinrock, a father of the Internet and the developer of the mathematical theory of packet networks. Peer-reviewed proceedings will be published by the IEEE and will be available on its Xplore online publication system. A CD containing the invited speakers' presentations and accepted applied research papers will be distributed to registrants at the conference. Awards will be given for the most outstanding paper presented and best graduate and undergraduate student papers presented.